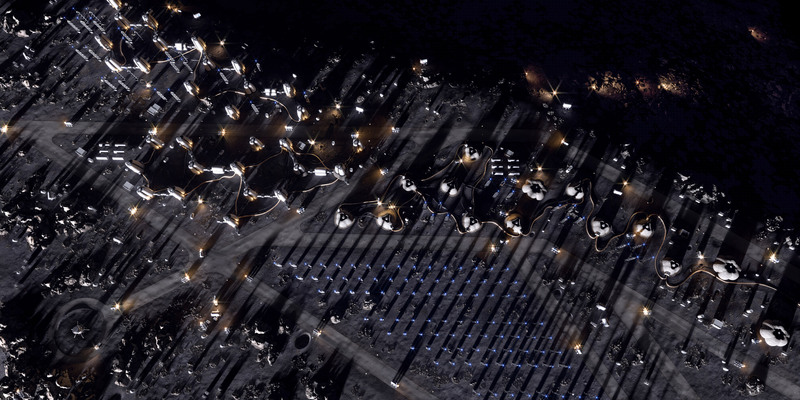 SOM teamed up with the European Space Agency (ESA) and Massachusetts Institute of Technology (MIT) to design Moon Village as “the first permanent human settlement on the lunar surface”. “The project presents a completely new challenge for the field of architectural design,” said SOM design partner Colin Koop in a project statement. Unveiled 9 April 2019, the proposal aims to resolve a number of complications associated with living on the planet. Resiliency, self-sufficiency and use of the moon’s existing resources are among the key aims. The cross-disciplinary teams drew on their range of experience for the project. As masterplanner, SOM oversaw architecture, engineering, urban planning, and sustainable design. ESA provided expertise from the European Astronaut Centre and the European Space Research and Technology Centre, and MIT involved the faculty’s aerospace engineering department. Moon Village is envisioned for the rim of Shackleton Crater, near to the moon’s South Pole, which receives continuous daylight throughout the lunar year. Infrastructure and habitable structures are intended to allow the community to harness sunlight for energy. Populating the village are a series of inflatable, pressurised pods that would house workspaces, residences, environmental control and life support systems. Rising between three and four storeys high, the modules could inflate and expand to increase living space for future growth. Each is encased in protective shells to make them resistant to extreme temperatures, projectiles, dust and solar radiation. 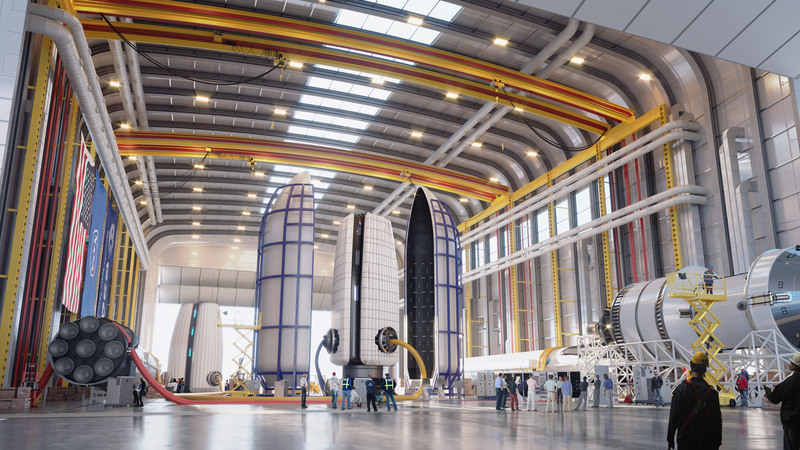 Other plans are for in-situ resource utilisation (ISRU), a term developed by America’s National Aeronautics and Space Administration (NASA) for generating products using the nearby natural resources. A key resource on the moon is water, which is located in shadowed depressions near the South Pole as ice deposits. 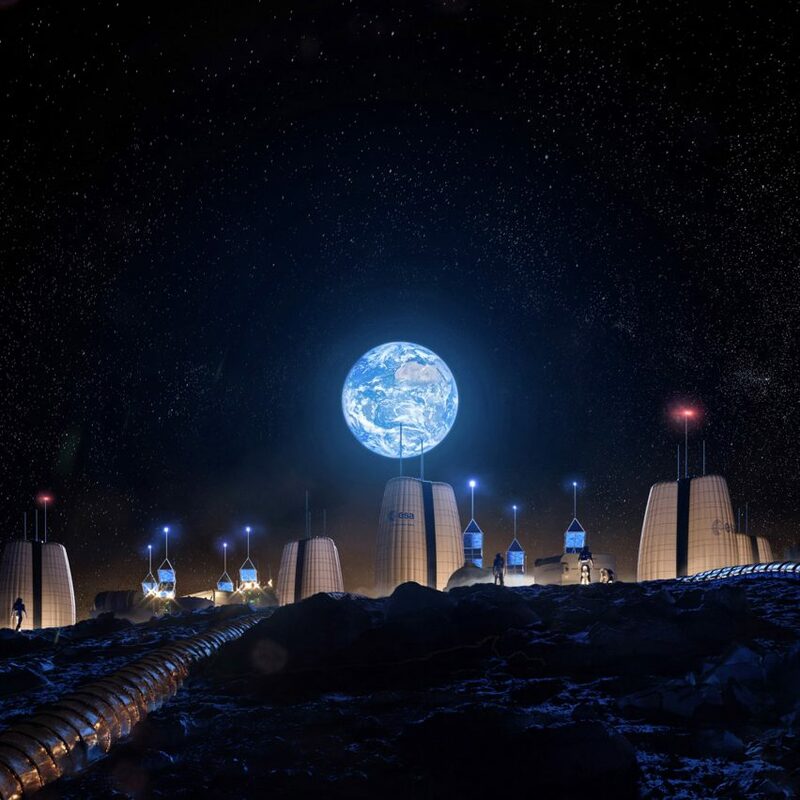 In Moon Village, this water would be extracted to create breathable air, as well as working as a rocket propellant for transportation and for the support of industrial activities. Structures within SOM’s Moon Village would be arranged in settlements, clustered close to the crater’s water supply, and feature connections for movement between them. Communications towers are also planned and placed on the highest ridges of the terrain. SOM’s proposal is part of a growing interest in developing the moon. In 2017, British firm Foster + Partners unveiled a proposal to 3D print buildings on the astronomical body. More recently, a collection of projects visualised life on the moon for the competition Moontopia. 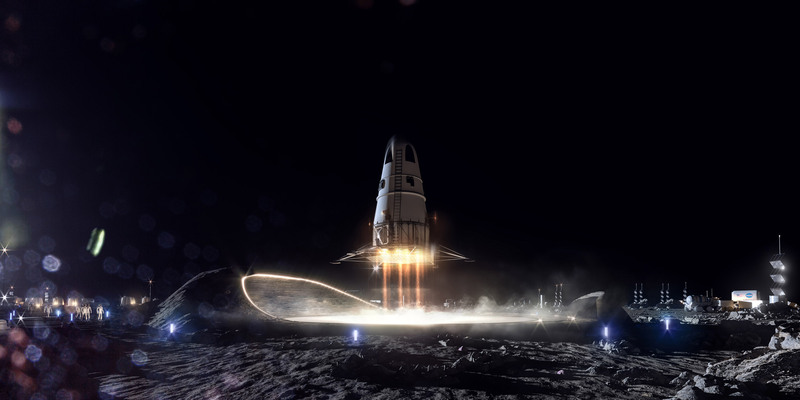 In addition to projects on the moon, other proposals look to planets or space at-large. For example, Philippe Starck designed a habitation module for individuals on expeditions, for a space station by privately-owned exploration company Axiom Space. For Mars in particular, NASA selected winners for a competition to design a 3D-printed habitat on the fourth planet from the sun. Elon Musk’s SpaceX is also paving the way for human life on Mars, and the private American aerospace manufacturer is focused on reducing space transportation costs and on developing life on the planet. It also unveiled a suit for Mars travellers. Earlier this year, news was released that China is planning a solar power station, while Mars One – another private space colonisation company – has declared bankruptcy. Images are courtesy of Slashcube GmbH. The post SOM designs inflatable Moon Village to be first-ever lunar habitat appeared first on Dezeen.